Dual stakes-winning filly Nomothaj faces a campaign-defining race when she steps out at Caulfield after two defeats on rain-affected ground this preparation. Nomothaj won twice at Listed level in Melbourne during a four-start juvenile season but has been unplaced in her two starts as a three-year-old in November at Flemington and Ballarat. Co-trainer Tom Dabernig believes a return to racing on a likely good surface in Saturday’s Patricia Cooper Handicap (1000m) could be the catalyst for a turnaround in the filly’s form. “I think back on top of the ground she will appreciate that and she looks to have found her right race here,” Dabernig told RSN927. “It’s a smallish field. She’s got plenty of weight but she comes into the race well with Lachie King’s claim. “I think it has been the wettish tracks so certainly tomorrow is a bit of a crossroads for her. She would need to perform well in a race like this to see whether we press on for the campaign or whether she went for a spell. 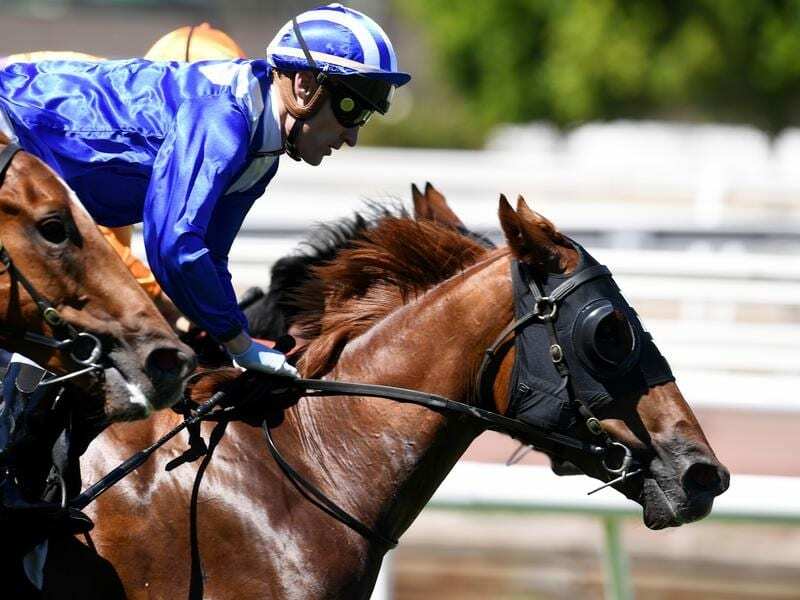 Nomothaj is one of three runners for the Lindsay Park stable on Saturday’s nine-race program, with Shokora in the Richard Cotter Handicap (1600m) and Creedence favourite for the Peter Missen Handicap (2000m). Shokora won at Moonee Valley two starts ago before finishing sixth at Flemington after racing three-wide. “She had a tough run and she wasn’t actually beaten too far last start,” Dabernig said. “She’s got that great residual fitness and I’m sure she will run a competitive race again. Dabernig said the stable was planning to have three runners in Saturday week’s $2 million Magic Millions 2YO Classic at the Gold Coast – Champagne Boom, Movie Role and Sebrakate.